RBI Assistant 2018 exam is likely to be held in the months of November & December of 2018. Upcoming RBI Assistant exam will be considered as India’s biggest competitive exam to be held in 2018. 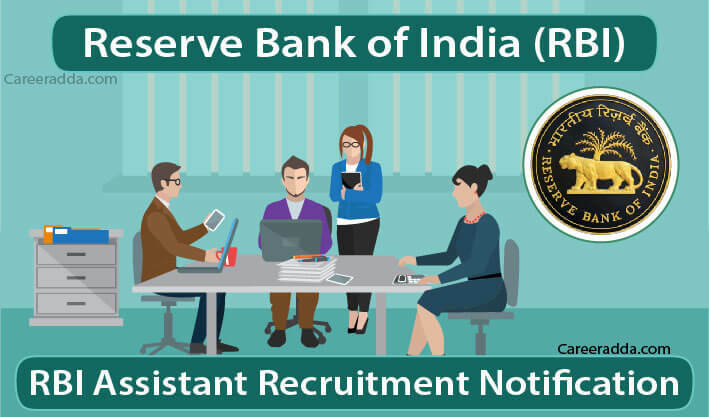 RBI Assistant 2018 exam will be conducted at several centres across the nation to recruit eligible aspirants for several vacancies of ‘Assistants’ available in different offices of the Bank. Reserve Bank of India will made selection through a national level preliminary and main examination followed by a Language Proficiency Test (LPT). Interested candidates may apply online for RBI Assistant 2018 through the Bank’s website www.rbi.org.in. Before applying online, they should go through full text of the advertisement to be published on the Bank’s website to know few very important things such as date of release of official advertisement with no., other important dates, eligibility criteria, no. of vacancies, application form & process, application fees / intimation charges & mode of payment, scheme of selection, examination centres, pay scale, call letters, results etc. Official notification for RBI Assistant 2018 exam is expected to be released in October 2018. However, final date of release of official advertisement is yet to be announced by the Bank. Once notification released, you can download / read it by clicking here. Total no. of vacancies will be displayed after release of official notification. Note– Applicants who want to claim relaxation in upper age limit are required to produce copies of supportive documents (certificates) at the time of document verification. Applicant must have a Bachelor’s degree with at least 50% marks in the aggregate (no minimum marks for SC / ST / PWD candidates) and working knowledge of MS Office on PC. 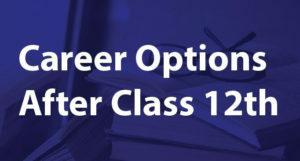 Applicants belonging to ESM category should have either a bachelor’s degree of any recognized University or have passed class 10th or equivalent examination of the Armed forces with minimum 15 years of working experience in Indian Forces. Applicant should know how to speak, read and write the regional language of the state from where s/he has applied for the Assistant post in RBI. Application forms of RBI Assistant 2018 exam shall be available from October 2018 after release of official notification. Like always, RBI Assistant 2018 application forms will be available online on the Banks’ website www.rbi.org.in. Aspirants who are eligible and want to apply must go to Bank’s website before the last date (online links will be activated after release of official advertisement). RBI Assistant 2018 – How To Apply? 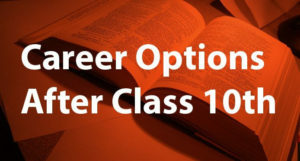 All the applicants are required to know that Application Fees / Intimation Charges are non-refundable and non-transferable. On top of that, along with application fees / intimation charges, applicants will also have to pay bank transaction charges. Applicants who are eligible for payment of application fees / intimation charges can use credit cards, mobile wallets / cash cards, debit cards (Maestro / Master Card / Visa / RuPay), IMPS and internet banking service. After completing payment process, they don’t forget to print system generated e-receipt. In case of payment failure, no ‘e-receipt’ will be generated. It will be an online objective test having three sections- English Language, Numerical Ability & Reasoning Ability. Total no. of questions in prelim exam will be hundred of 100 maximum marks. Total time will be 60 minutes. Within given time period, examinees will have to solve all the MCQs given in all 3 sections. Reasoning Ability Logical reasoning, syllogism, data sufficiency, coding / decoding, input / output, alphanumeric series, blood relations problems, tabulation, coded inequalities, ranking / direction / alphabet test, seating arrangement etc. Numerical Ability Simplification, simple interest & compound interest & surds & indices, data interpretation, work & time, sequence & series, profit & loss, number systems, mixtures & alligations, work & time, ratio & proportion, percentage, permutation, combination & probability, mensuration – cylinder, cone, sphere etc. English Language Fill in the blanks, reading comprehension, miscellaneous, para jumbles, paragraph completion, error spotting / multiple meaning, cloze test etc. Examinees qualified in Preliminary examination will be eligible for appearing in Main examination. It will have 5 sections having objective type questions. Each section will have 40 MCQs, each of 1 mark. So, total no. of questions in main exam will be 200 of 200 maximum marks. Section-wise syllabus and time duration is given in below table. Numerical Ability 30 Pipe & cisterns, boats & streams, problem on Ages, ratio & proportion, partnership, time & distance, quadratic equation, simplification / approximation, data sufficiency, time & work, profit & loss, average, data interpretation, number series etc. English Language 30 Reading comprehension, grammar, fill in the blanks, sentence improvement, word association, vocabulary, error spotting, cloze test, para-jumbles, verbal ability etc. General Awareness 25 Banking & financial awareness, financial awareness, static awareness, general knowledge, national / international current affairs etc. Computer Knowledge 20 Computer fundamentals / terminologies, operating system, computer hardware, keyboard shortcuts, networking, Microsoft office, computer abbreviation, internet etc. Reasoning 30 Logical reasoning, data sufficiency, tabulation, coded inequalities, alphanumeric series, blood relations problems, ranking / direction / alphabet test, syllogism, coding / decoding, input / output, seating arrangement etc. Preliminary examination will be conducted at several examination centres across India such as Port Blair, Hazaribagh, Chennai, Chirala, Ranchi, Coimbatore, Bengaluru, Mangaluru, Hubli, Chittoor, Guntur, Hyderabad, Nellore, Salem, Kochi, Puttur, Karimnagar, Agartala, Agra, Bhopal, Jorhat, Tezpur, Indore, Bareilly, Allahabad, Arrah, Ujjain, Kanpur, Lucknow, Aurangabad, Patna, Dhule, Varanasi, Raipur, Nasik, Jamnagar, Surat, Sonipat, Amritsar, Kullu, Shimla, Una etc. Main examination will be conducted at few centres only. Names of centres for the main examination will be disclosed by Bank after preliminary examination. After conducting main examination, the bank will shortlist candidates and call them for language proficiency test (LPT). This test will be held in the Local / Official Language of the State from where candidate has applied. For more details, please go to official website of RBI. Final selection of candidates on the post of Assistant in RBI will be done in order of merit available in final merit list. Final merit list will be prepared after considering marks in the online main examination, biometric verification & LPT. Final selected candidates will get a basic pay of Rs. 14650/- per month along with other allowances such as transport allowance, city compensatory, house rent allowance, dearness allowance etc. Monthly gross emoluments will be Rs. 32,528/-. RBI will send intimation for downloading call letters for Preliminary, Main examination & a Language Proficiency Test (LPT) at candidates’ registered e-mail ID / mobile number. After that, candidates will have to open the website of RBI to download call letters. The entire process for downloading call letters is given below. Results for Preliminary, Main examination & a Language Proficiency Test (LPT) will be displayed by Bank on its website. Candidates will have to search their result via their roll no. and name.